Major General Arthur Denaro CBE DL, speaks with experience and great insight on how to motivate, inspire and lead others in testing times. His compassion and humour combined with his natural ability to tell a story ensure that each speaking engagement is entertaining and memorable as well as thought provoking. Major General Denaro's distinguished career began when he was commissioned into the Queen's Royal Irish Hussars; his life as a young officer included commanding tank troops in the British Army and being involved in clandestine operations worldwide with UK Special Forces. Prestigious appointments during his career included commanding his Regiment in the War to Liberate Kuwait, and becoming Chief of Staff of 44,000 troops during the Balkans conflict. (The troops were drawn from no less than 31 different nations and they had to operate in a particularly complex and often cruel environment. Major General Denaro's role included ensuring international relations were maintained despite fraught and often dangerous events.) 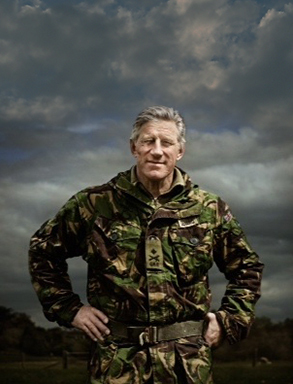 Towards the end of his career, he became Commandant of the Royal Military Academy Sandhurst for three years where he trained international graduates in the art of leadership and the skills of management. He was also the Middle East adviser to the Secretary of State for Defence for six years until 2002.